too bad. No secondary cam for 3G video call. Could have done better with 5 mega pixel cam, but then it depends what price range its placed at. Would have loved it if it had 5MP AutoFocus Cameras with Xenon Flash. 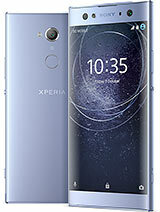 i was gonna go for this but it's quite thick, and without video call ability, too bad.. at least put in the video call..
XperiaTM X8 will either launch on Android 1.6 with a subsequent upgrade to Android 2.1 a few weeks later or will launch on Android 2.1. The final decision will be taken on a market-by-market basis. colour- publish more colours , specifically in black , mettalic. SE 2010, 16 Jun 2010Man I will be really excited to hear such news!! I am waiting for se and I know that they alwa... moreWhat I said about the Windows Mobile, and Symbian phones I hope it is true! On that site I saw, it is mentioned that they will announce those phones, but maybe in August, or later, what I don't want! And also they said that the new phones will be available sooner than the older models. 1.no flash for a 3.2mp phone ?????? Mobilemaster, 16 Jun 2010About the internal storage I am NOT surprized, because this is a mid-end smart phone, and I th... moreMan I will be really excited to hear such news!! I am waiting for se and I know that they always have phones that blow our minds! Right now they are focusing on mid-low end phones which is a good thing in my opinion to also help se recover and gain profit. I just hope they stop with this no flash nonsense they are doing now. 3.2MP camera only!at least it should be 5MP. and no secondary camera for video calling again! even iphone is getting into video calling. why does sony ercsson always left out this feature.